Standard Delivery items (excl. personalised prints) are usually dispatched within 3 working days after the order has been placed, except custom prints which may take up to 14 days. 7-14 working days for USA, Canada, Fast East, Australia and the rest of the world. Delivery times are based on Post NL's estimates and are valid from the time the items are dispatched, not from the time they are ordered. Orders will be sent via Post NL. 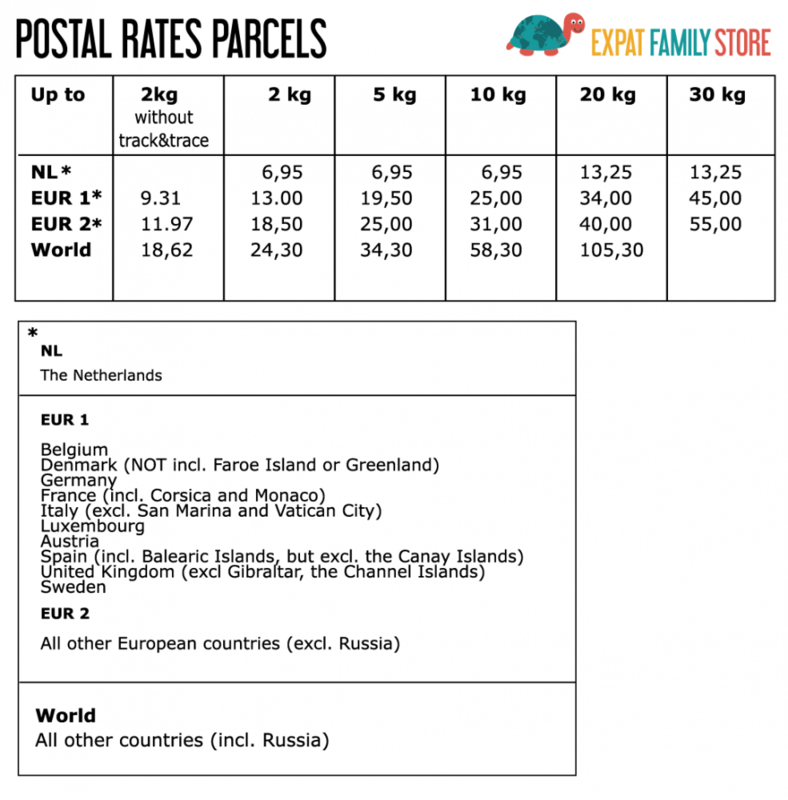 Charges for postage and packing are calculated by weight. If your delivery address is outside The Netherlands, you may be subject to import duties, taxes and delivery service charges, which are levied once a shipment reaches your country. Any such additional charges for customs clearance must be borne by you. You should note that customs policies vary widely from country to country; Expat Family Store refers each customer to contact their local customs office for further information. Please be aware that cross-border shipments are subject to opening and inspection by customs authorities. Expat Family Store offers several payment options so you can pay using your preferred method. Expat Family Store works with a reputable Payment Provider (Mollie B.V) that guarantees everyone’s security – and that includes yours. Expat Family Store offers several payment options so you can pay by your preferred method. iDEAL is a Dutch banks developed online payment system. With iDEAL you will be led through the checkout to your own internet banking environment for executing the payment. Paypal is an online payment system where you pay without sharing your data. Link your bank account or credit card through your account and pay in a few clicks (www.paypal.com). You can safely enter your credit card information using the secure SSL procedure. Expat Family Store ensures the processing of your payment together with your credit card company. 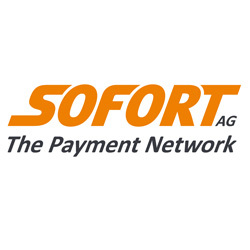 SOFORT is an online direct payment method and works on the basis of online banking. All transfer data is carried over automatically so that you only need to enter your bank's sort code along with your usual online banking login details and finally the confirmation code in order to authorise the transfer. 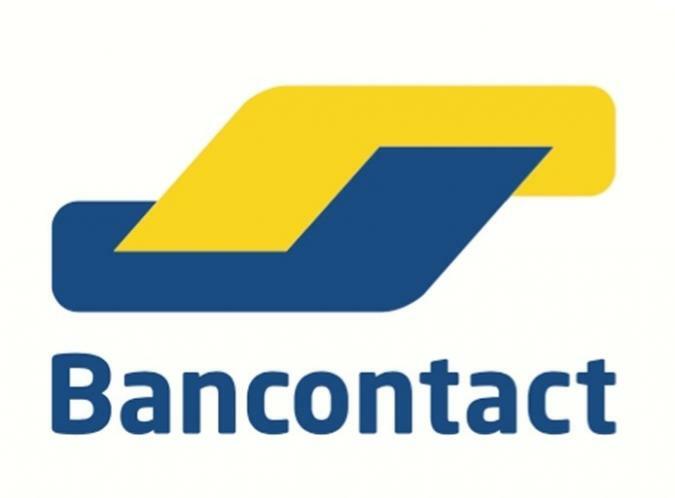 Bancontact is the payment method that makes it possible to pay directly through the online payment systems of all major Belgian banks.